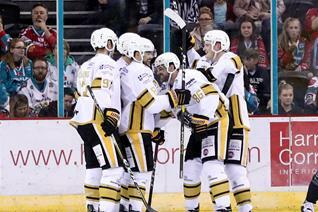 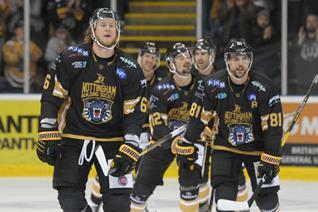 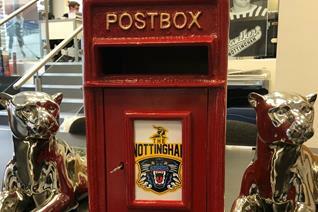 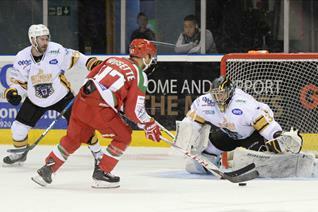 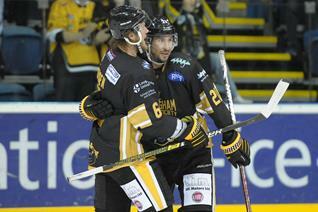 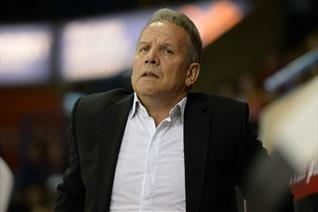 Big game at home to Cardiff tomorrow (Wednesday) for THE NOTTINGHAM Panthers. 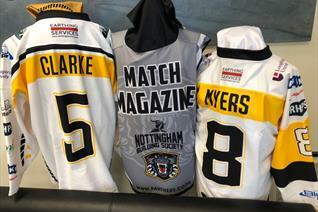 Clarke and Myers shirts in magazine draw and there could be a “roll-over” if the Mosey shirt isn’t claimed soon. 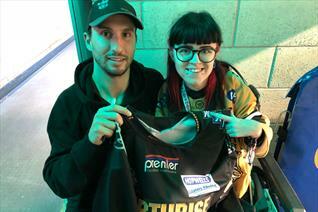 Konnie curses her SOHB seller and ends up winning Mark Hurtubise's jersey! 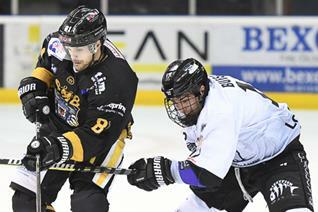 The Nottingham Panthers vs Glasgow Clan: Gameday! 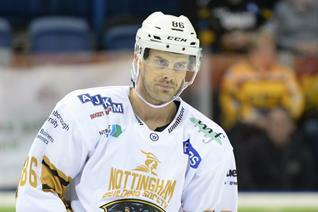 Gameday: You can pay on the door for The Nottingham Panthers vs Glasgow Clan tonight but that's not all. 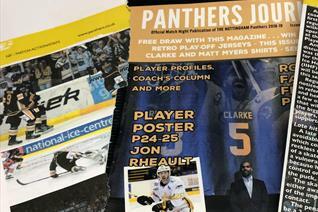 WIN WITH THE PANTHERS THIS WEEKEND AND WE DON’T JUST MEAN THE HOCKEY! 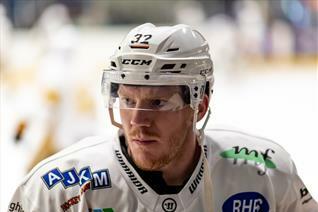 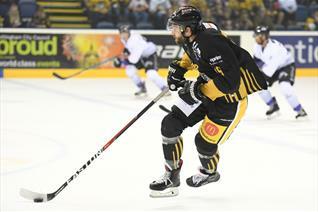 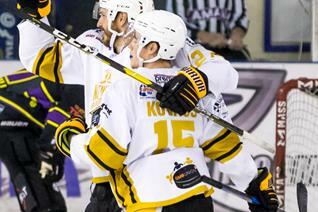 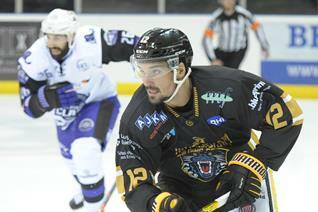 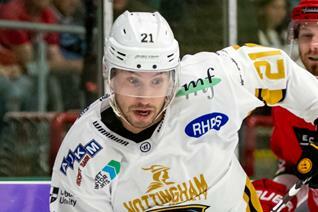 The Nottingham Panthers vs Glasgow Clan: Tomorrow! 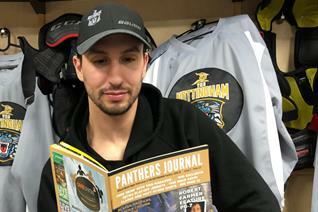 Panthers are in Belfast tonight but they’re all over the latest edition of the match magazine which goes on sale for the first time at the home game on Saturday at seven. 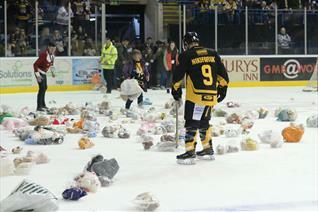 In issue two of the match magazine find out whose spirit animal is “a hibernating bear” while taking the chance to win BIG! 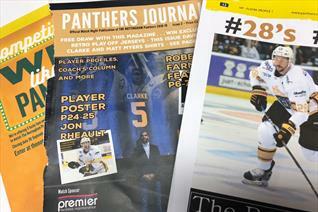 MORE WAYS TO WIN WITH ISSUE TWO OF THE MATCH MAGAZINE – OUT SATURDAY!